Trung tâm Nghiên cứu Quốc tế (SCIS) xin trân trọng giới thiệu bài bình luận của ThS. Đoàn Ngọc Anh Khoa (hiện đang là NCV cộng tác của Trung tâm SCIS) về "Ký ức Chiến tranh Triều Tiên - Vai trò của Hoa Kỳ trên bán đảo". Bài bình luận phân tích những điểm đặc trưng trong cuộc chiến tranh Triều Tiên (1950 - 1953) cũng như những nền tảng quan hệ có thể tác động đến Hội nghị Thượng đỉnh Mỹ - Triều Tiên lần đầu tiên diễn ra ở Singapore vào ngày 12/6 này. Quan điểm trong bài viết thể hiện lập trường riêng của tác giả, không đại diện cho quan điểm chung của Trung tâm SCIS. Late May 2018, U.S. President Donald Trump canceled the summit with Kim over aggressive comments made by the North Korean government. In his letter to Kim Jong-un, the president warned of the American military’s “massive” nuclear capabilities. A day after cancelling it, Trump told the reporters that the highly anticipated meeting with North Korean Leader was back on as originally scheduled in Singapore on June 12 for the first time to discuss about the Korean Peninsula’s future. To the casual observer of the ephemeral relations between the U.S. and the DPRK, a true understanding of the role of American aggression should be examined in the history of Korea. The roots of current tensions are found in the Korean War (1950-1953). In the American perspective, the Korean War is commonly referred to as the “unknown” or “forgotten” war. However, to North Korea, it is an atrocity still fresh in the minds of leadership and those old enough to remember. 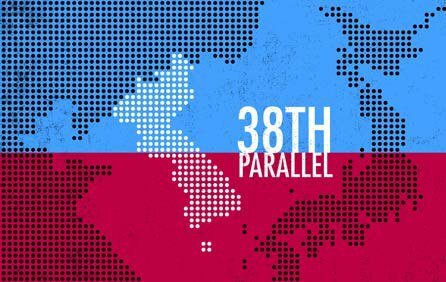 In the aftermath of WWII, the Allied powers decided to divide Korea– ravaged by the violence of Japanese occupation-along the 38th parallel. The northern and southern halves of the newly-divided peninsula would be under the control of the Soviet and the U.S., respectively. The division of Korea was absolutely arbitrary. Korea had enjoyed a territorial, linguistic, and cultural unity for centuries, and the boundary line between the northern and southern half of the peninsula was something that few Koreans took seriously. In fact, before the North invaded the South for the purpose of reunification, South Korean President Syngman Rhee had declared his goal to unify the peninsula by military force. After the North invaded the South to reunify the country, the Americans stepped in to defend its ally and in the process embarked in a war that would result in the death of millions, the territorial destruction of the Korean peninsula, and the cementing of an American presence in the region until the present day. Instead of pushing North Korea back behind the 38th parallel in its defense of South Korea, the U.S. pushed beyond it to “liberate” the entire peninsula. The U.S. began a brutal bombing campaign of major population centers, and engaged in extensive use of napalm to firebomb North Korean cities. When the People’s Republic of China (PRC) entered the war on the side of North Korea, the American troops ratcheted up the air war as it retreated to the North-South Korean borders while employing scorched-earth tactics to destroy the Northern landscape. In early 1993, Bill Clinton decided to resume Team Spirit military training exercises with South Korea. According to historian Bruce Cumings, these exercises involved the “introduction to Korea of nuclear-capable aircraft and naval ships of all types, back-pack nukes controlled by mobile units, practice with nuclear cannons, and so on, with many South Korean units working together with the Americans on various nuclear war scenarios.”[vii] At the same time, American general Lee Butler announced that the Washington would re-orient nuclear missiles targeting the now-defunct Soviet Union in favor of targets in the DPRK. In response, the DPRK threatened to leave the non-proliferation treaty (NPT). Though North Korea held off on withdrawal, tensions between the US and the DPRK remained high. However, a visit by former President Jimmy Carter to Kim Il-Sung laid the groundwork for a 1994 diplomatic agreement known as the Agreed Framework. As part of the framework, the DPRK agreed to halt its nuclear weapons program in exchange for oil and a light water reactor supplied by the US, and a normalization of diplomatic ties, which included an end to hostile rhetoric and military action. The Agreed Framework was a failure diplomacy. The American government delayed oil shipments and then ultimately halted them at the end of 2002. It also never built the light water reactors. Though North Korea ended its nuclear weapons program for over a decade, it began to distrust American commitment to the agreement, and eventually withdrew from the NPT in early 2003. The Framework finally met its end that same year when George W. Bush abrogated the deal. The Bush administration cited dubious and unconfirmed claims that the DPRK had been developing a uranium-enrichment program. Subsequent attempts by North Korea to reach an agreement with the Bush administration fell through when the parties involved could not agree on the issue of verifying North Korean plutonium enrichment. The historical context is all the more important when understanding today’s crisis. A concerted effort is made by American officials to portray the DPRK as an irrational, rogue regime bent on the destruction of the region. Yet, understood against the backdrop of incessant American military aggression and rhetorical hostility, North Korea’s actions can in fact be seen as a rational response to the threat of annihilation by the American government. It must be noted that a contextual understanding of the conflict does not excuse well-documented abuses committed by the DPRK, nor does it absolve the North Korean government of responsibility for the dangerous escalation to violence the atrocities it committed during the Korean War. However, if understanding North Korean threats not only as a response to the traumatic memories of a vicious civil war, but also as a defense against a fate similar to that of other American enemies, then may develop a more complete grasp of the scope of the crisis. This recognition allows to scrutinize the validity of American intentions in the region. In understanding the violent history of the Korean War, the America’s role as a global moral arbiter should be challenged and questioned the very legitimacy of American military power itself. The Korean War resulted in the death of 2.5 million Koreans. A war with North Korea today would result in the death of millions more. Few are discussing the horrific implications of a military confrontation between the U.S. and the DPRK, limiting the significance of the crisis to a schoolyard fight between two grown men. The destruction of a peninsula of roughly 75 million innocent people is something worth pondering as the standoff between Donald Trump and Kim Jong-Un unfolds. The Trump administration may conveniently forget the bloody roots of hostility, but Koreans do not; they remember. In dealing with issues like nuclear war, perhaps other American strategists could do some remembering, too. [i] Bruce Cumings, North Korea: Another Country (New York: New Press, 2004), 22.